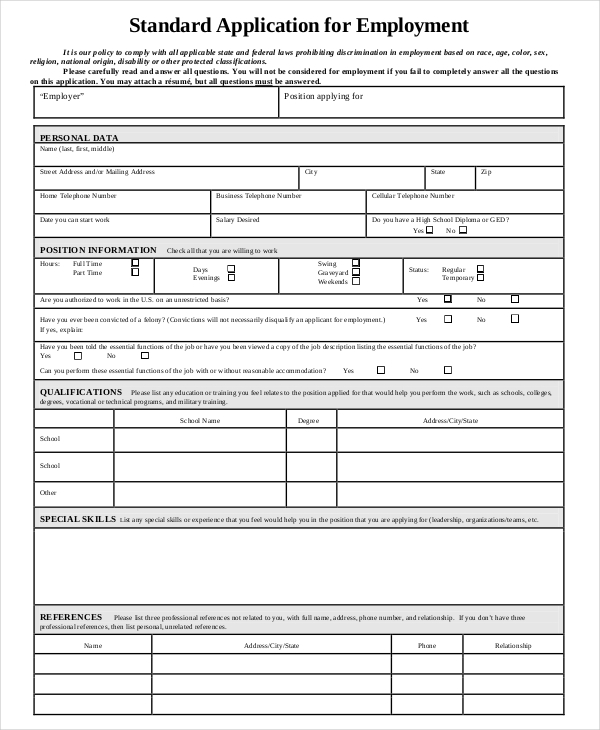 An employment application form or employment sheet is the document that a company provides to their applicants. 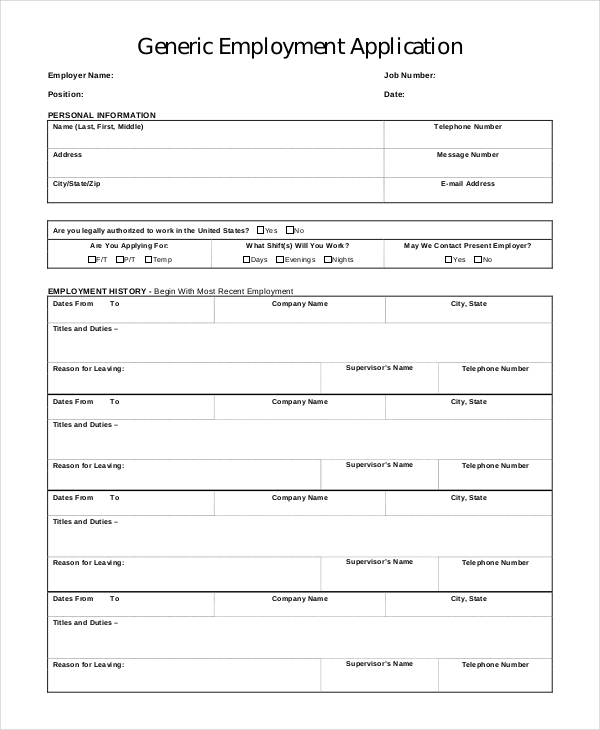 This document is filled up to get the personal and professional information of the candidates who would like to be a part of the company as an employee. 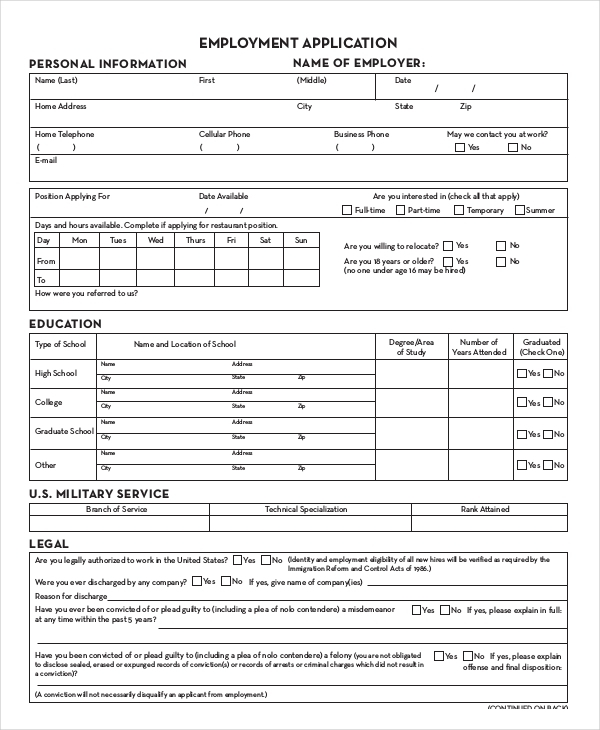 As an essential document for job application, making sure that your employment application sheet is complete and accurate can help a lot for you to advance for an interview. 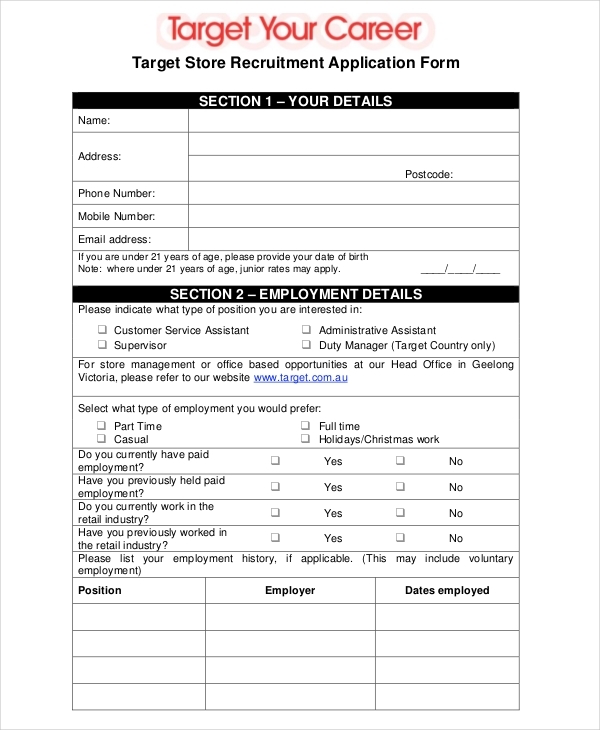 This article contains employment application examples, templates and guidelines for applications which you may refer to either create or fill an appealing employment application. Application examples used for employment are the documents that allow a company to assess the qualifications of an applicant. 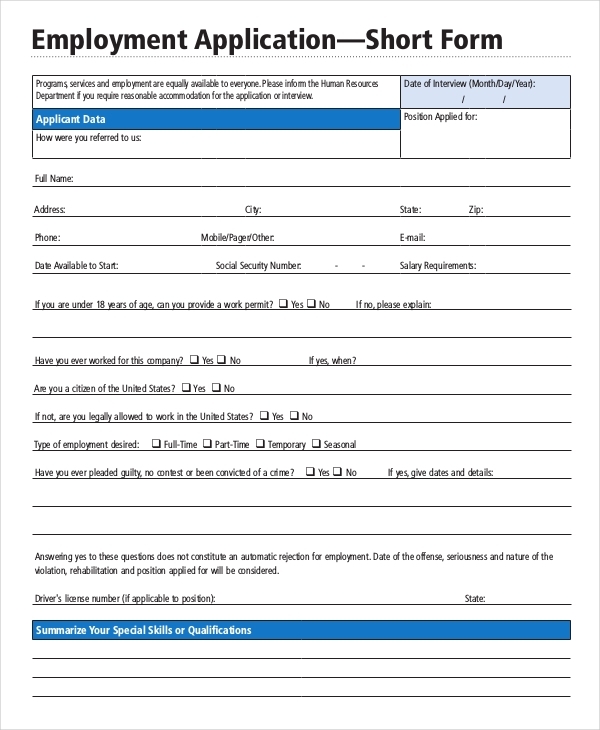 An employment application is a tool to present the desire of an applicant to be hired by the company. 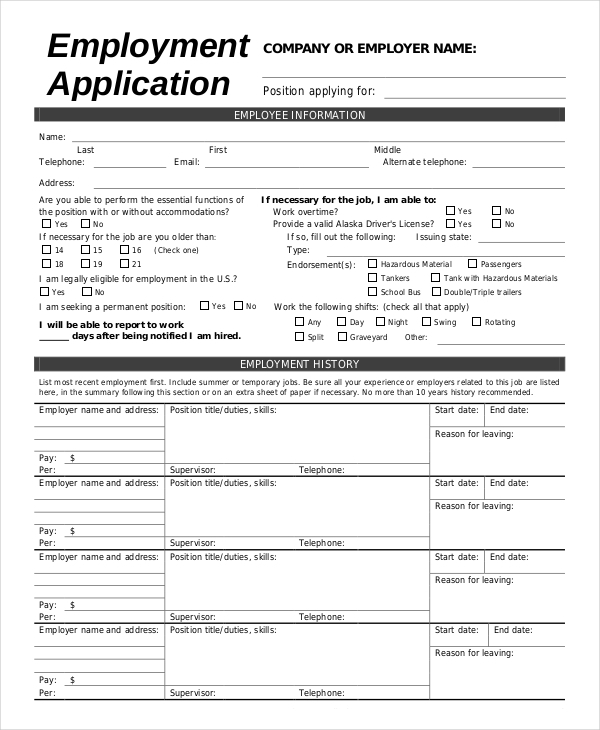 Employment applications are the documents that contain the information that a company requires to be knowledgeable about to assure the availability for employment and the competencies of the candidate. List down the things that you would like to know about the applicants who are applying for employment. Open a software that can help you create an job application sheet like Word or Excel. Input the header of the company, the basic information that you would like to know and the instructions that you would like to discuss to the applicant in the upper part of the document. After the basic information listing, you may already start placing the professional information that you want to know. Review the document that you have created and identify whether you still need to edit a few items or you can already print the documents for usage. Why Is an Employment Application Important? It allows the company to have a document that can fully contain the items that are needed to be known for background checking. 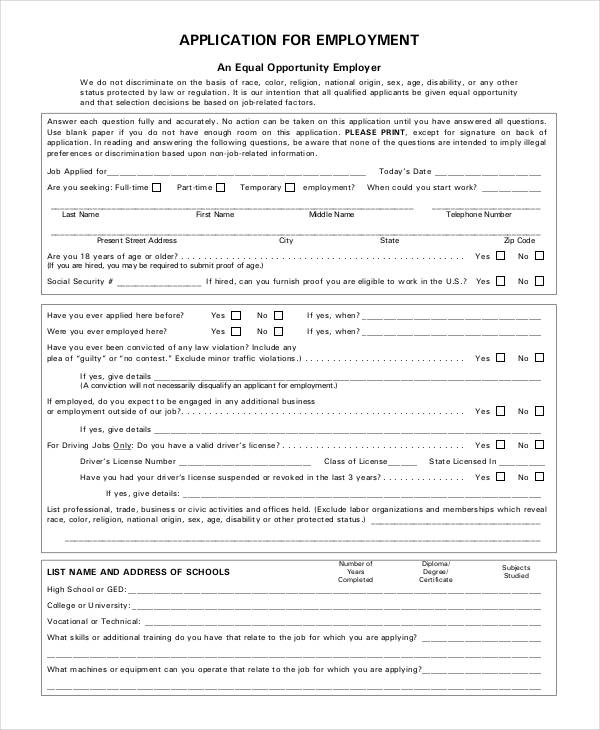 Employment applications can be the sheets that can serve as comparisons of different applicants for the same job position based on how fit they are for the work post and its functions. 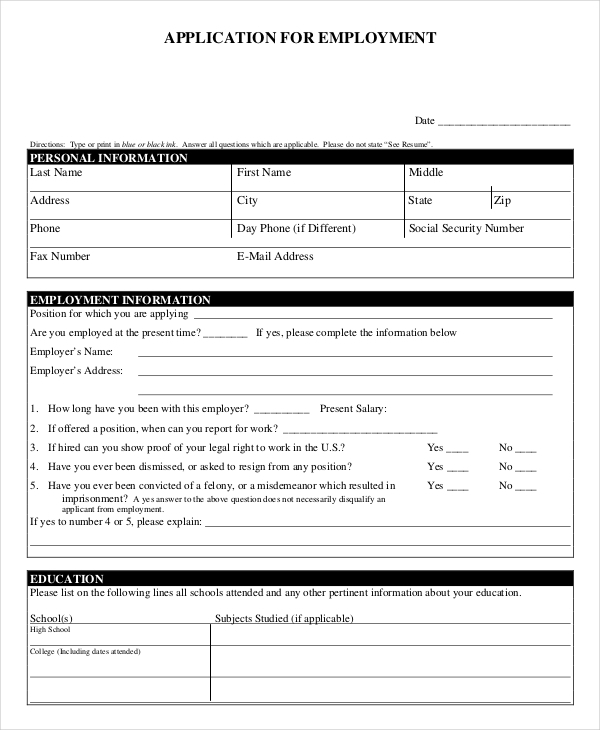 Just like internship application examples, employment application sheets should have the items that are related not only to the applicant but also on how they perceive themselves within the processes of the business should they qualify for an interview or furthermore for employment.